Bill is a past Grand Knight of our council and he keeps on giving. He is our webmaster and is one of our council trustees and is a member on our councils 1st degree team. He helps out and leads many events whenever possible and heads up the most popular Easter Egg hunt for the children of St. Jude and is one of our sound men for the Super Bowl Party each year. He is on the parish’s Finance Committee and has been a lector for many years. Thanks Bill, for all you do and God Bless You and Your Family! Scott has been a Knight for less than a year, but he is on fire. He has two girls and has been a soccer coach for as long as he remembers and he said that this is his last year as coach and then he wants to devote more time to the Knights. He has jumped right in, he is Mr. French Fry because whether at the Lenten Fish Fry’s or the Pickle Parade he has manned the French Fryer and has figured out exactly how much time it takes to cook a perfect French Fry. He recently attended his major degree and know is a full 3rd degree brother knight. Thanks Scott, for all you do and don’t lose that passion. God Bless You and Your Family! From running the grill, the fryer, or coming up with the best darn po-boy we can serve. Johnny is up to the challenge. Johnny we appreciate your commitment to our council and to our parish. Keep up the good work and thank you for all that you do. Although TJ is new to us, this has not slowed him down. TJ is a phone call away to assist. From loading the festival trailer, to usher at the youth masses. TJ is becoming a very active brother in the council and in the St.Jude parish. For this TJ, we are very thankful. Keep up the great work. We can’t wait to see you at the major. From faith formation, to reader, to Eucharistic minister, to the big cheese of our local cub/boy scouts. Brian is a very active member of St. Jude and the Mansfield community. His leadership of the youth of this parish is outstanding. His example will produce many future Knights, and great leaders of our communities. Thank you Brian for everything you do for us. A lot of behind the scenes happens with the Knights, and thankfully we have Brother Tom. Tom formats and publishes our monthly new letter. Insures the format is correct and the information is available to publish. When he’s not publishing, Tom can be found at the food pantry, pickle parade, church festival, or at the rear of the church ushering. Tom, Thank you for being a Knight, and Thank you for being our brother. A few months ago a stranger was read and voted in. Very soon after that stranger joined our brother hood thru the rite of admittance. From that day forward Michael has hit the ground running. If you attended our meeting, bingo, Halloween in the Park, and the church festival, you have worked side by side with Michael. The brother who stood on Michael’s behalf stated, “he will be an asset to our council.” Michael you are an asset to this council, Thank you. Your hard work and dedication is greatly appreciated. Mike Eastman is an exemplary Knight. At a moment’s notice Mike will always answer a call for assistance. Whether that’s a sign for the fish fry, bingo or some fundraiser, he’s there. Mike’s attention to detail is paramount to creating and maintaining wonderful activities and games for the youth of our parish. His hours of painting, creating, and exploring the World Wide Web to facilitate wonderful adventures for our youth has not gone unnoticed. Thank you, Brother for being a role model to all. JRod exemplifies the meaning of Brother Knight. From his duties on our 1st degree team, to the BBQ dinner for our youth confirmation retreats, to the endless hours preparing three briskets and 50 yard birds for the officer installation. You can bet your bottom dollar, JRod will rise to the occasion and provide the best darn BBQ in Texas. Jerry we salute you, “Pit Boss 7736”. Monsignor (Fr. Ray) Mullan is one our council’s chaplains, and although he is retired, he says a priest is never really retired. If you have not been to his 12:10 pm weekday Mass you are missing some homily’s that are succinct, that is, short and to the point. If you happen to stay after Mass, he can also fill you in on his volumes of jokes that require understanding wit. Most of all he takes his priesthood very seriously and well he should. Fr. Ray just celebrated his 55th year as a priest and to make it more special, he was ordained on the Solemnity of Saints Peter and Paul on June 29th 1962. He also celebrated his 80th birthday in May as well as becoming a 4th degree knight. Our council is lucky to have such a priest that is always ready to serve. Thank you Fr Ray, for all you do. God Bless you! Keith is our councils Financial Secretary, but I think a new title is in order. How about Financial Wizard? Well, maybe not changing his title, but Keith is a wizard when it comes to keeping our council in good standing with Supreme and our Trustees. From the Retention committee forms that are required to send to Supreme, keeping track of our members (resignations, new members, Safe and Sacred training just to name a few), keeping the financial records up to date, keeping track of our councils different committee expenses and revenue margins, planning the councils yearly budget and many other reports he generates. How do you spell Financial Secretary? WIZARDRY! Thank You Keith, for all you do. God Bless you! Talking about a “full plate”. The meetings and coordination with all the involved ministries began weeks before the Easter Triduum (Holy Thursday, Good Friday, and Easter Vigil), culminating with the three Masses on Easter Sunday. The planning, hours of preparation, practice and implementation that Fr. Thu envisioned was an overwhelming success for all of us and all of the St. Jude parish. Speaking of a “full plate”, on Holy Thursday, Fr. Thu also cooked up some pretty tasty lamb and chicken, along with some good vegetables and (vino) to wash it all down with. Along with all his other priestly duties, I think Fr. Thu deserves a big “ATTA FATHER” for the lead by example work ethic that he displayed. Thank You Father Thu, for all you do. God Bless you! Not long after Dan became a 1st degree, then 2nd and 3rd degree knight, he was attending meetings, helping with events and now he is an usher. He can always be counted on to help with any Knight sponsored event, especially when it comes to serving people. I don’t think he has missed a Friday in lent, helping in the kitchen, and talking it up and does it all with a smile on his face. Thanks Brother Dan, for all you do. God Bless you! Pedro can always be counted on to help with any Knight sponsored event, especially when it comes to serving people. He is very active in all cooking events, which include pickle parade, parish festival, Lenten fish fry, and all the pancake breakfasts’ events. And most of all he always does it with a big smiley face  Thanks Pedro, for all you do. God Bless you! Pat is the “main man” when it comes to fitness. His certified personal trainer experience has been a valuable asset to the new KofC Temple Keeper’s program. From the beginning planning meetings Pat took the lead on which exercise programs would best fit our parishioners. Each week Pat sends out the exercise routines that will be used for the Saturday morning class. This takes time to plan, as there are many different routines, such as warmups, weights, and cardio. The St. Jude parishioners are keeping their temples clean, both physically and spiritually and loving every Saturday morning. Pat also helps with the food pantry and picking up food from the local Walmart and transporting back to the food pantry. Thanks Pat, for all you do. God Bless you! John knows what it means to get involved, because he is involved in just about everything that is going on at St. Jude and in our council. He is a Eucharistic Minister, Lector and Sacristan and is a regular for standing honor guard whenever needed. He is a leader in our council by regularly attending and taking an active part in our monthly business and planning meetings. He is one of the organizers when our pits are needed for an event, brats, Halloween in the Park, Family picnic and especially the Special Olympics. 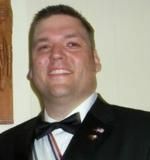 He is also the Grand Knight and leader of the 1st degree team for our council. John, thanks brother, for being there whenever you are needed. Ethan is an inspiration to all brother knights. 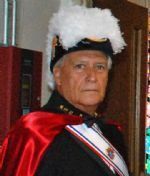 He always has a smile on his face and given the chance, will tell you how lucky and happy he is to be a member of the Knights of Columbus. He regularly attends our monthly business meetings and helps at mass as an usher. In October, Ethan became a full 3rd degree Knight as he attended a major degree. He is very involved in the Special Olympics as an athlete. Keep up the good work and keep smiling. Dan joined our council earlier this year and has been very involved in many different activities. 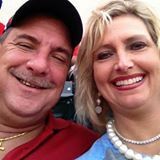 He attends our regular meetings, Saturday morning mens bible study, has helped out on several events and most recently he and his wife, Donna, have been regulars on Friday nights during the 40 Days for Life praying at the abortion clinic. This is most important as we get close to the end of the “Year of Mercy“. Thanks Dan and keep up the good work. From being the Master of Ceremonies at the Religious Appreciation Dinner, coordinator of the Honor Guards for Corporate Communions, Blue Mass, Chalice Fund Presentations, Funerals and other activities, Pat is always doing something. He is a regular at the Parish Festival cleanup on Sundays and is the Lecturer for our council. 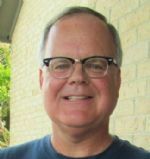 He currently holds a position at the Diocesan level in Texas and just enjoys being a Knight and a valued member in our council. Job Well Done and Congratulations are just a couple of words to describe Fr. George. After 57 years of service to the priesthood, Fr. George gets to enjoy golf and his other hobbies a little more as he retires. Those he has served from St. Jude, all of his previous parishes, the Knights of Columbus and the military and anyone who has had the pleasure to know him is truly blessed. Thanks Fr. George and if you ever need anything the K of C council 7736 will always be there for you. God Bless You! We are lucky to have Tom in our council. He came to us as a transfer from Alabama and jumped right in as our Chancellor and membership director. In a little over a year he has made a huge difference in organizing our blitzes and following up with the potential candidates. Having just completed a very successful 1st degree held at St. Jude’s on July 28th where we welcomed eight new members as well as one transfer into council #7736. Tom thanks for all you do and keep up the outstanding work. Truly an asset to the K of C and our council is lucky to have him. Jim is always recruiting and it seems like he is always asking for more form 100’s. Even with some health issues over the last year, nothing stops him. You can see him standing Honor Guard with the 4th Degree and helping at Bingo, Knights Breakfast, you name it he is always around. He regularly attends council and assembly meetings and he is an officer in our council, Jim keep on truckin’ thanks for all you do. This young man since joining our Brotherhood a little over a year has accomplished his 1st, 2nd, and 3rd degrees and can be seen at just about all of our events to include breakfasts, pickle parade, bingos and cookouts. Just a great asset to this Council. Thank you so much for what you do Pedro. God bless you and your family. Bob was very active in the selling of Scholarship Raffle tickets this year and in years past. He also was involved in the Denim N Diamonds event and is an active member of the parish in many ways. Thank you Bob for your help to the Knights and the Parish. Brother Shannon has been very active in Knights activities. Latest event was the Fish Fry, did not miss a Friday-he put in many many hours at this event and the Pickle Parade. So Joe, we thank you for your dedication and willingness to help. Have you seen those pits? Those guys are the direct result of Ed’s hard work and passion for the Knights! Thank you Ed for all that you have done and continue to do. Ken has been in the council for a few months and has already participated in Bingo, the Church Festival, Turkey and Brauts sales and numerous other events. He started as soon after he joined us here at St Jude's and continues to serve. Thanks for all your help Ken. Don has been a fantastic contributor to our council, he works tirelessly at the food pantry, thanks Don for your constant support. Even being our District Deputy, Bill still takes time to help out in our council events such as, Bingo ,Coats for Kids, Turkey Raffle, Reader, Choir, and many other events. Thanks Bill for taking time to help. Mark is our current Deputy Grand Knight and most recent was instrumental in the success of the recent Family Picnic. Mark is involved in Bible study, Bingo, Honor Guard, Parish festival and helps out at our various events and is always available to help out. Thank you Mark for what you do for the Knights and the Parish. Brother Shannon has been very active in Knights activities. Just last 3 events- Wurstfest, Parish Festival and Golf tournament-he put in many many hours at these events. So Joe, we thank you for your dedication and willingness to help. Larry spearheaded the "Pavers Project" which was a tremendous success. Larry is also available to help the Council when and wherever he can. Thank you for all you do for the Parish and the Council. I just could not pass on this one. Our Brother Knight Brandon has answered the call to serve the Church. He will be entering the seminary real soon to begin his Journey. His Brother Knights wish him well and our prayers will be him. Thank you Brandon for what you did with the Knights in such a short time. Special Olympics, Breakfasts, fish frys, and many cooking events. You are an asset to our Council and we wish you well. Mike has been an excellent addition to our council involved in various church ministries and functions. Participates in numerous knights events; pickle parade, breakfasts, Bingos and many many more. Greg serves on our council as the inside guard, event chair for our fish fry, helps at breakfasts, bingo and other events. Always there when we call out for help. Helping out the 4th degree with its car show, he is a tremendous asset to our council. Thanks for all you do! Jesse is a tremendous asset to the council. He helps at events like Bingo, Pickle Parade, Breakfasts, and fish frys even helps other parish organizations at their breakfasts. Thanks for all you do Jesse. Since becoming a Knight Tony has been very active many events from Pancake Breakfasts to Bingos and the most recent fish frys. He is also involved in parish activities. A true asset to our council. Chris is on the Degree Team, Diocesan Prolife Coordinator, liaison to our food suppliers, Usher Lead, Recorder for the 4th Degree Assembly, responds to any events and there when needed, he is a true asset to our council. Tom has been very instrumental in the Family Memorial Project and is always volunteering for various projects that involve workmanship and building experience. He is always pitching in grilling or at fish fries he is an asset to our council. James is involved in numerous events from fish fry’s ,honor guard, selling rosaries, he volunteers at nursing home and recently became a 4th degree. This young man became a Knight in Jan 2014 and has since participated in all of our events. Festival, bingo's, fish fries. Octoberfest and pickle parade. He just became a fourth degree knight. Way to go Mike! Thank you Cliff for being there for us at our events and for answering the call when clean ups are needed, bingo food needs to be prepared, and for the many other things that you have done for our council!! Without a doubt, our Family Event at the Air Hogs game was one of the best in recent memory. Chris worked for several months putting the program together with the Grand Prairie Air Hogs, and they truly made us feel like VIPs! Thanks Chris for all you continue to do for our council! Albert work tirelessly at the special Olympics year. Whether it was cutting the vegetables or cooking the meat, Albert was ready to jump in and help with a smile. Thanks Albert for your constant support. Lee is one of the hardest working Knights around. Among his numerous duties around the church, he still makes time for the Knights and helping out where he can. At the State Convention, Lee was an instrumental player in making the Country Store an overwhelming success. Thanks for all you do Lee! Brandon has been a fantastic contributor to our council over the last year! When we see Brandon at the council events, he is truly a Jack of all trades.Thanks Brandon for always lending a helping hand no matter what is being asked. Chris did a fantastic job recruiting new members over the last few months. I thank Chris for his dedication and effort to our new member growth. Mark did an outstanding job coordinating our Blitz in January. New members keep our organization strong and helps us promote the ideals of charity throughout our community. Well done Mark! Tim, who is currently serving as our Faithful Navigator for our 4th Degree Assembly, always makes time for his council. On an icy day in December, Tim and his boys answered the call to clear the walkways in front of St. Jude for the Saturday evening Mass. Tim's charitable spirit should be emulated by all of us. Even though Bill has taken on new responsibilities as our District Deputy, he still makes time to give back to his council. Bill was instrumental this month in pulling together the Coats for Kids drive. Bill, your work here has been and continues to be appreciated by our council. Chris is a genuine asset to our council. A fervent protestant against abortion, Chris has been a relentless warrior against this abomination. We are proud of Chris’ efforts this month for continuing to spread the message about the murderous practice of abortion. Always around to lend a hand- that’s how I would describe Kyle this month. Helping with Chapter meetings, peer ministry, or cooking spaghetti, Kyle was working hard and making us laugh!! Thanks for all your help, Kyle! Without a doubt, our Family Event at the Air Hogs game was one of the best in recent memory. Chris worked for several months putting the program together with the Grand Prairie Air Hogs, and they truly made us feel like VIPs! Thanks Chris for all you continue to do for our council!! Marvin is one of the most humble men you will ever meet. Marvin’s role as Financial Secretary has made him the backbone to our success as a council over the years. Thank you Marvin for being a role model, confidant, and a measuring stick for our council’s knights! Brandon is one of the newest members of our council. Brandon made his 1st, 2nd, and 3rd Degrees inside of a week and has hit the ground running. Brandon help on Mother's Day by participating in every duty available and helped make our Mother's Day Breakfast a success. At the Special Olympics, he and his Mom were up to the task of cooking hamburger for the volunteers. Keep up the good work Brandon!!! We affectionately call him Ray Ray! That affection comes as a return of the love that Ray shows for his brothers. Thank you Ray Reyes for being there for us at our events and for answering the call when clean ups are needed, bingo food needs to be prepared, and for the many other things that you have done for our council!! Pickle Parade Cook, Pickle Parade Representative to the City of Mansfield, Chief Raffle Sales Person at all Masses, Honor Guard Participant, and Movie Knight Organizer are a few of the titles that Speedy has worn this past month. Thanks for always answering the call when the council needed you. Your help is greatly appreciated!! Mark Von Plinksy was blessed at birth to be born into a family with terrific initials. And, Mark truly lives up to his MVP status. You can find Mark at all of our events, willing to lend a hand, or offer suggestions on how we can improve. The Knights are in need of people with great character, and 7736 is very proud to have our very own MVP. Kevin’s passion centers on helping the youth of our community. Kevin teaches the game of basketball to many children each year in an effort to pass on the love he has for the game. We consider ourselves lucky to have Kevin organize our council’s Free Throw contest. Thanks Kevin! Tom is on of our newly inducted 4th degree knights, who is dedicated to helping out the council. At this month’s bingo, Tom spent his time working in the kitchen while cheering on his wife as she tried to win some CASH! Thanks for all your hard work Tom!! Anyone ever heard of this guy? Of course you have! After being one of the most successful Grand Knights in recent history, Bill has not decided to rest on his laurels. He continues to support our council in more ways than most people realize. Bill has taken on the communications chair and web master for our council. This is on top of all of the support that he gives us at all of our events. Thank you Bill for your tireless support!! Grill Masters Kyle Martinez and Dennis Levine had a busy October! Their work behind the pits earned them the title of Grill Master after the Halloween in the Park event. These two brothers flame broiled enough bratwurst and sausage on a stick to feed two armies! Your work gentlemen is appreciated!! Each council has one. Some are good, and some are...well, they give good effort. Whether you all know it or not, Marvin Sulak is one of the best Financial Secretaries around. The council has been blessed to have Marvin working for us. There is a reason why the FS is included on the Star Council awards alongside the Grand Knight. It is because so much work goes into running the financial portion of our organization. Marvin not only keeps us in check, but keeps us out of trouble with the State, Supreme and even the IRS. Thank you, Marvin, you truly are a the light that guides our pathways!! Scott transferred into our council last year and was asked to take on the ProLife chair for 7736 because Chris Heath had moved on to the diocesan level. Scott has been instrumental in in putting together the upcoming rosary awareness weekend and the 40 Days for Life campaign! Thank you Scott for your time and dedication!! George was elected Chancellor of our council in May of this year, and has hit the ground running. The role of the Chancellor is key to the success of any council. George successfully organized our first membership blitz in July that has us positioned for a great year in 2012-2013. Thank you George for all your hard work in recruiting our new brothers. 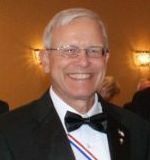 Tim is a past Grand Knight of our Council and is instrumental in the success of our scholarship program. At Tim’s direction, our outside panel of judges were able to review all scholarship applicants anonymously. The integrity of our selection process has been tremendous due to Tim’s efforts. We had very successful Fish Frys this Lent. A lot of guys worked very hard, but no one put in more time than Larry Evans. Larry headed up every Fry this month and kept up a positive and cheerful attitude throughout! Thank you for all your hard work, Larry! I couldn’t decide who deserved this honor this month so I gave it to both these guys! These two new members cam out and worked their TAILS off at the Super Bowl Turkey and Brauts. They then came out and worked the first Fish Fry as well as the Bingo the next night! These guys have really jumped in with all four feet! Thanks guys! It would be hard to recognize anyone OTHER than Speedy Gonzales for the February Knight of the Month. Speedy coordinated a successful membership blitz and got 11 guys to our First Degree last month. What a great job! And he still has leads he's working for February! Kevin has taken on youth sports programs for the Council. Kevin was already heavily involved in various sports activities but wanted to do something for the Council as well. In January, he will be coordinating our Free Throw contest for Council 7736. This event has been dormant for several years and we're very excited to have it back. Thank you for all you do, Kevin. Gary is a real fixture in our Council. Over the last year, he has coordinated our Bingo activities and built it into a great fundraiser. Gary always brings a great sense of humor to all he does and makes it fun. Thank you Gary for all you do. 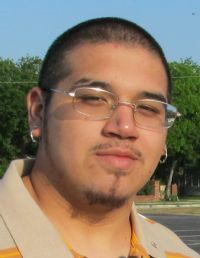 Since joining the Council in September, Adolfo has been a very active member. He came right out the September First Degree and worked a full day at the Parish Festival. Adolfo also had his son out helping. Adolfo was also at the Halloween in the Park to help cook and sell turkey legs and sausage on a stick to help raise funds. Adolfo is planning on attending his Major Degree in November as well. Brett and Kyle are friends who just joined the Knights after finishing high school. Both were active as youth peer ministers prior to joining the Knights and are still helping Bill Bellman. These guys have been great Knights since making their First Degree. They came and watched the First Degree in September. They have come out and prayed during thr Forty Days for Life. And they were out working all day at the Parish Festival. Young guys like this are always welcome in the Knights and we need more like them. Thanks Brett and Kyle! Cesar made his First Degree in July and decided his first event to volunteer for would be the Mansfield Wurstfest on August 13. Little did he know the event would be five times larger than expected and he’d be serving like a madman for 5 hours straight! Cesar performed like a champ and has actually been seen at events since then! Way to go Cesar! Ricardo is a new member who has jumped in with both feet. He has already made his Major Degrees in May. and he also was out for most of the Special Olympics grilling hamburgers. Ricardo is a great guy with a good attitude towards work and we ar proud to call him a brother Knight. Fabian is a guy doing much behind the scenes that few ever see. He is one of the first guys to jump in and help when a brother Knight is in need. He has been there to help several brother Knights with house and childcare duties at all hours of the day and night. Fabian is quietly and humbly living the first principle of Charity and deserves to be recognized. Way to go Fabian! Larry did a tremendous job heading up the Lenten Fish Fires this year. He took charge of running the operation right from the get go - was the first one there and the last to leave every time. Larry did a great job and deserves the thanks of every man in this Council. PGK Chris Heath hasn’t slowed down much in the past year. Chris continues to head up our Prolife efforts. He also is helping with the Fish Fries and in several other areas as well. Thank you Chris for all you do! Ed has worked tirelessly with his uncle over the last several months to reconstruct one of our smokers. The finished product was on display at the Super Bowl Turkeys and Brauts and it looked beautiful. Thanks should go to Ed for all his efforts in renovating this smoker which will prove to be a great asset to our Council in the coming years. Larry has been doing a great job with running the Bingo food, which is a very profitable endevour for our Council. He makes sure there is enough food, cooks the food, and cleans up after BINGO. Laryr is a great asset to our Council. For all your help with the most successful Membership Blitz the Council has had in a long time. Tim really helped with the Christmas Parade by bringing his trailer and old tractor to run through the parade. He and his family also decorated the float which made the parade a joy for so many of us to enjoy. Thank you to Tim for all you do for our Council. The Pressley’s are tremendous examples of giving back to the church and community. 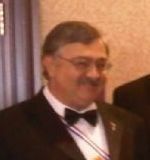 John is a past Grand Knight of our council and currently serves as Grand Knight on our councils 1st degree team. He is one of our lead cooks and coordinators for many events including, Halloween in the Park, Special Olympics, Brats Sales and family picnics. Cindy is a very active member of the Lady Knights and is instrumental in putting together the baskets each year for the Religious Appreciation Dinner. Together they are Sacristans and Eucharistic ministers for our parish and John also serves as a lector. Thank you both for all you have done for the Knights and St. Jude over the years. God Bless !!! James, Patsy and their family are very special. As a brother Knight, James has always been there through the years. Fish Fry’s, Holy Family Memorial to the Unborn, Recruitment Blitzes, ticket sales of any kind plus other events we can always count on James. Over the past several months our Brother James has had to deal with some critical health issues and he and his family have dealt with them head-on. Please know that the Schultz Family remain in our prayers through this most difficult time. Thank you both for all you have done for the Knights and St. Jude over the years. God Bless !!! The Marcucci's are definitely an asset to our parish and our council. Whether Gary is in the clink, "prison ministry" setting the alter for mass, cooking pancakes, or running the bingo machine. You can count that the Marcucci's will be available to assist. Thank you Marcucci's for all that you do. You’re a pretty amazing family, for being Yankees. Mike Duke, like a lot of brothers has a million things going at once. Yet Shannon, him and the girls have been very active in the festival, and faith formation. No matter what problems arise, the Dukes are all in to overcome diversity and further the mission of our council and the St. Jude Parish. Thank you Dukes for all that you do…Tell uncle Jessy we said Hi! Whether it’s the golf benefit, cooking breakfast, bingo. Whether it’s a Knights function or a CWO function or just providing help around St. Jude. You can count on seeing the Mother and Son duo. They are the Mail persons of our council (rain, snow, sleet, or hail). Will maybe not Hail. You can guarantee the Barboza’s will be present to help and lead the way. We are thanking both of you of your countless hours and sacrifices. Some may know the Cole family, and some may know the family, “with seven daughters”. No matter how you slice it. The Coles are very active in St.Jude parish. From running the middle school CCD on Sunday, to the radio, to the Cole Daughters providing ministries as peers. Any given day you’re bound to run into one of the Coles investing time and effort into making St.Jude a better environment. For this Cole Family we want to tell you all, that your hard work and generosity is not unnoticed. Thanks for promoting the Catholic way of life. Being a Knights family can be demanding at times. Yet our loved ones don’t hesitate to jump in and assist. The Whitt family is no different, from the various ministries at St.Judes, to the Special Olympics. Mr. and Mrs. Whitt go out of their way to insure that Brother Ethan is an active member of our council. We thank you. As Ethan told everyone at the festival, “he is the face of our company”. Ethan your Brother Knights agree, and we thank you and your family for your deeds. This month’s family has a list of accomplishments longer than the State of Georgia. We are very lucky and very appreciative of all the ongoing work, and sacrifices, our Grand Knight Mark and Lead Lady Knight JoAnn have contributed. As a council and parish we are continuing to grow closer to God, and to each other. Mark and JoAnn have been instrumental in this process. Von Plinsky’s, we know you weren’t born in Texas, but you came as quick as you can. Thank You for everything you do! Larry and Donna are a vital part of our infrastructure. Both work in various ministries and community based charities. Through their print shop they easily mow down a forest of requests, keeping our signs and printings needs up to date and accurate. Larry’s passion for Knights Can weekend and his leadership roles for coats for kids is a true inspiration to all Knights. Donna’s active with the Lady Knights and is a Eucharistic Minister. Larry and Donna, we are truly proud of you and we appreciate everything you do for us and our community family. Jesse and Sophia work tirelessly throughout the St.Jude parish. 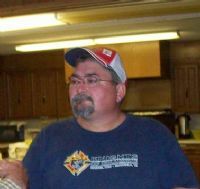 You can always count on Jesse working the kitchen for our breakfast, the welcoming committee breakfast and our fish fry. Sophia was instrumental in attaining Grants to bring and keep ESL at St.Jude. Jesse and Sophia we thank you for all of your help behind the scenes at St.Jude. Joe is our council’s recorder. He is also always around to lend a helping hand, from squeezing fish for our Lenten fish fry, which includes mopping up after we finish the “squeeze” to working the golf tournament, and many other events. (A side note… do not try and take the mop from him or you may have a problem). He is our councils “pizza delivery guy” for the 1st degree ceremonies, although if Sam’s ever checks his id, he may not be delivering any longer. He also is on the church maintenance team that takes care of maintaining our church during the week. Zelma, Joe’s wife works the food pantry ministry on Wednesday and Saturday, as well as being involved with the religious education for the children. Thank you Joe and Zelma for all you do and God Bless your family! Jim made his 1st degree in February and 2nd and 3rd degree in May. He is already involved with the council and is active in St. Jude ministries, including Lector (Reader), and Eucharistic Minister. He also takes the Eucharist to hospital patients (Corporal Work of Mercy). He can be seen at daily Mass with his wife Marian, who is also a Eucharistic Minister, and who is deeply involved in the Pro-Life ministry. Thank you Jim and Marian for all you do and God Bless your family! Gary and Florence, better known as the “Dynamic Duo” are always into something. When Gary is not locked up in jail, with the prison ministry, he is calling numbers during the KofC bingo or reading at Mass, assisting the Eucharistic Ministry, along with helping Florence with sacristan duties. Florence is like the bunny with the battery that never runs out. She is a member and former president of the CWO, caller at CWO bingo, and reader at Mass; Eucharistic Minister, in charge of maintaining the sacristan quarterly schedule for all weekend Masses and the direct link from Fr. Thu in requesting help in serving for funerals. Bottom line, these two are” DYNAMIC” and deserve an applause! Thank you for all you do and God Bless your family! “Threes’ Company”, at least it is with Clay, Margaret and daughter Cassidy Regan. Clay and Cassidy can be seen regularly at the 5pm Mass on Saturday doing their “ushering duties” for the church. Margaret is involved with the CWO and can always be depended on to help with funerals/weddings when asked and many other church functions. She also takes care of our K of C aprons that many of you have, we are really lucky. Cassidy is involved in the St Jude peer ministry and was an altar server for many years as a young girl. Clay can be counted on to help the brother knights in most events. He can serve some good fish, mac and cheese and hushpuppies at our weekly fish fry. Thank you for all you do and God Bless your family! When it comes to a “family affair”, the Cosby’s define that phrase to a “T”. Any KofC event that involves kids, cooking, coordinating, or family, Roger, Jason, and Andrew are there to help (along with the kiddos). 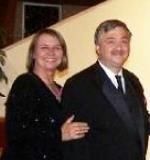 Then add Julie to the mix and they are extremely active in their support of our ministries at St. Jude. Julie is the DRE of Youth & Young Adult Faith Formation as well as both EM and Lector (Reader). Thank you both for all you do and God Bless your family! Charley and Seymora are extremely active in their support of our ministries at St. Jude. They are both EM’s and Lectors (Reader’s). Not only has Charley been involved with the above ministries, he has been involved with Temple Keepers (a new Fitness program) that the Knights are leading each Saturday morning until Lent begins. Temple Keepers began planning in December with weekly meetings to outline exactly what Temple Keepers would be doing. Charley has stepped up and is a strong asset assisting in the exercise program. Seymora has recently been trained as a Eucharistic Minister and both Pat and Seymora serve together as lectors and EM’s at the 7:30 am Mass. Thank you both for all you do and God Bless you both! Mike and Carlene are extremely active in their support of our priests at St. Jude. They are both sacristans. Mike regularly supports Fr. Thu as an altar server at Sunday, Wednesday night and at daily mass. He also, attends Saturday morning mens bible study and has stepped up in his leadership for our council as Deputy Grand Knight. They are always at the Wednesday night pro-life rosary led by the Knights. Carlene supports our parishioners and others in need as she brings the Eucharist to those not able to attend mass due to health issues. Thank you both for saying yes, when asked to help. God Bless You ! The Evans family is amazing and they are passionate about the activities they are involved in at St. Jude. As lead for Pro-Life Larry just completed a very successful 40-Days for Life campaign and encouraged many brothers and their wives to attend. They are perfect examples of showing that you can work together as a family to serve, from being Lectors, Eucharistic ministers and BINGO workers. Larry regularly attends men’s bible study on Saturdays and works on Kairos Prison ministry. Nancy is an active member in the Lady Knights and the CWO. Congratulations and the Knights and St. Jude are lucky to have you two as active members in the church. The Marcucci’s are everywhere, from BINGO (both Knights and CWO’s), pancake breakfast, active in the Lector ministry, they are tremendous models for all in the parish to emulate. Gary and Florence again this year have supported the 40 Days for Life campaign each Friday night at the abortion clinic in Fort Worth. Thanks, to you both for all you do for St. Jude and the Knights. John has been extremely busy over the last several months for our council, he is Grand Knight and Leader of our Councils 1st Degree team, a regular member of Honor Guards standing at St. Jude special masses, auctioneer at the recent Religious Appreciation dinner, organized the pits at the Wurstfest, Fr. George’s retirement party and our most recent Church Festival. He is also a lector and along with his wife , Cindy are Eucharistic ministers. Cindy is an active member of the Lady Knights and recently helped with the building of the beautiful baskets for the Religious Appreciation Dinner that helped raise almost $5,000. Thanks, to you both for everything you do for St. Jude and the Knights. Tim is always available if you have questions. As a trustee for our council, he helps keep us in line in matters of running the council and bookkeeping. 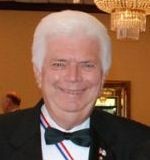 He is a past Grand Knight of our council and past Faithful Navigator of the Mary Queen of Peach assembly. He helps us promote after masses, whether it is a membership blitz, selling raffle tickets or handing out fliers, if you look around you will usually see him in the mix. 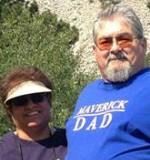 His wife Cindy is very active in the parish as well, she helps with many events from the church festival to the casino night and was very helpful in preparing the theme baskets for the recent religious appreciation dinner. Thanks to the Henz’s and keep up the excellent work. Richard has really stepped up over the last several months and gotten very involved. He regularly attends the business meetings and can be seen at many of the events that we have going on. He accepted the role as Family Event chairman and along with his wife and children helped put on our family picnic last year and is looking to lead the picnic event in October. He has involved his family in the Matlock Street cleanup this past month when his daughter helped. Thanks Cardenas family for setting such a good Christian example for all families to follow. These two set such a great example for not only our council but for St. Jude’s. Over the past two years as our Grand Knight, Speedy introduced several ideas and events to our council and encouraged each brother knight to do the same. A couple of events: On-the-Border buyback, Theater Arlington and the Councils 1st Golf Tournament all are events that went well for our council. He energized our council to achieve Star Council each of the past two years which is not an easy task. Chickie is always there to support him and led the Lady Knights in their efforts of supporting the Knights. Speedy and Chickie thanks for your love and support over the last several years. Well Done !! One of the Dynamic Duos of the Parish. Involved with the Youth and RCIA and many other ministries. We thank you for what you do for our Parish. THANK YOU for their tremendous effort in putting together the Denim N Diamonds event. They surrounded themselves with active men and women of our Parish and made the event a success. Thank you both for your support of the Knights and the Parish. Vic and Jan are great assets to our parish. Vic, as a deacon, is very active throughout the parish assisting our priests in fulfilling ministries to our people. This includes preaching at mass, performing baptisms and weddings, and visiting the sick and in-firmed. Jan heads up our elementary education programs at St. Jude. She coordinates the First Communion prep as well. Thanks to Jan and Vic for all they do for the Parish. If you have ever gone to Breakfast after the 7:45 mass, you have probably been greeted by Bonnie when passing through the service line. Jerry and Bonnie both are pillars of our St Jude's community. Whether feeding our Knights at officer installations, Turkey and Brats, Parish Festival, Pickle Parade and many other events, Jerry and Bonnie quietly go about their business doing God's work. Thank you both for all that you do for the Knights, CWO, Altar Servers, and our parish! Lee is the past Treasurer for the Council, chaired the Golf Tournament, is Saturday's Usher Lead and much much more. Claudia is also very much involved in parish functions, on the Bingo event team and is an active member of the Lady Knights. Eddie and Ramona continue to improve upon past successes. While it is sad to see so many families in need, the preparation of Eddie and Ramona ensure that our St. Vincent de Paul Society fulfill the needs of each and every individual. Thank you Eddie and Ramona for your tireless efforts. You can always count on John and Cindi to be of service to our Council and the Parish. Our council's success derives success from Families like theirs. They are EM's, Readers, Lady Knights and they head up may different events. They simply respond. Thank you both!! Jairo and Olivia were both a tremendous asset in the success of the Family Picnic Helped in starting, organizing and finally putting on the event. Both are very much involved in various parish ministries and great Family examples. Thank you for your service to the Knights and the Parish. 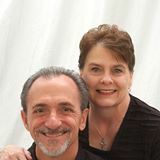 Larry and Nancy Evans the dynamic duo, numerous ministries like pro-life, Bingo, Eucharistic Ministers, CWO events, Golf tournament, Festival etc.. Thank you both so much for what you do for the Parish. Vic and Jan are great assets to our parish. Vic, as a deacon, is very active throughout the parish assisting our priests in fulfilling ministries to our people. This includes preaching at mass, performing baptisms and weddings, and visiting the sick and infirmed. Jan heads up our elementry education programs at St. Jude. She coordinates the First Communion prep as well. Thanks to Jan and Vic for all you do.you Larry for all you do for the Parish and the Council. What can I say as this family loves there Church in so many ways from working with the youth of the Parish and organizing the Confirmation ceremony. Endless outings, Bible study and so many other activities in the Parish, you see them both. So the Knights say thank you for what you do for the Knights and the Parish. Mike and Carlene Goodnight are both involved in various ministries in our Church and both always willing to lend a helping hand no matter what is being asked. Although new to the council Marcos, Justin and Cynthia are there when the call goes out, Pickle parade, prolife events, bingo, breakfast and they just completed their major degree. Truly a family affair. Thanks for all you do! Look around and they are everywhere at Parish activities. Sacristans, EM's, CWO, Bingo etc.. you name it they do it. Very much involved in the Parish. Gary and Florence thanks for all you do. 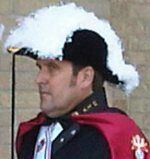 Mark is a great asset to our council and parish, he is our current Deputy Grand Knight and involved in many Knight activities. 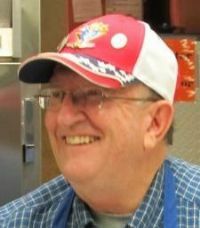 He is always pitching in grilling, working fish frys, selling rosaries and food sales, Joann is involved in many parish events and active in the Lady Knights. Lee is the Treasurer for the Council, on the Bingo event team, Saturday's Usher Lead and much much more. Claudia is also very much involved in parish functions, on the Bingo event team and is an active member of the Lady Knights. 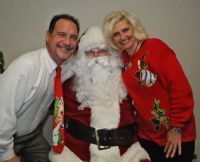 Larry is a great asset to our council, he and Donna are involved in many parish activities. Larry is always willing to pitch in and help when he sees something that needs to be done. Larry is heading up the Pro-Life memorial construction project. Donna is very much involved in the Lady Knights. Dennis is a great asset to our council, he and Cathy are involved in many parish activities. Dennis is always willing to pitch in and help when he sees something that needs to be done. Dennis is an Eucharistic Minister helps in our cooking events, selling rosaries, helping with various activities. Dennis recently became a Fourth Degree Knight. Randy is a great asset to our council, he is at many events and is always willing to pitch in and help when he sees something that needs to be done. Randy is our Chancellor for the council and is an usher at Masses. Cindy is an active member of the Lady Knights and helps out in the parish. Tom is a great asset to our council, he is at many events and is always willing to pitch in and help when he sees something that needs to be done. Tom also helps the parish as the Eucharistic Minister coordinator. Cynthia, is also very active in the Parish and the Lady Knights. Pat and Mary Henz give so much of their time and talents to the organization and to the church. Thank you for your work with the Religious Appreciation Dinner, these guys can always be counted on for tremendous support. Couples like Pat and Mary are what make our council shine! Larry and Nancy both work for our Pro-life and Bingo activities. Thank you both for all you do!! Randy and Cindy both worked the Special Olympics for our council this weekend. Cindy did a great job greeting the volunteers with a smile as she served fajitas on Saturday! Thank you both for all you do!! Pat and Mary work tirelessly for the Knights of Columbus. This month, Pat finished a year long service in coordinating the State Convention of Texas. Job well done you two!! Cliff and Alan work side by side at many of our events. Cliff and Alan help to keep us all smiling while we fry fish or work the Bingo food line. Thanks to you both for your hard work!! Wes and Cindy serve our parish as Sacristans, Extraordinary Ministers, and Lectors at the 10 AM Mass. They represent our council well each and every day and are always willing to lend a helping hand. I thank them for their service and dedication. You may see Albert at the Bingo passing out the loot to the winners, but you also see him helping out in numerous ways around the church each and every week. Thank you to Albert and his wife for all that you do for St Jude's. Eddie and Ramona continue to improve upon past success. While it is sad to see so many families in need, the preparation of Eddie and Ramona ensure that our St. Vincent de Paul Society fulfill the needs of each and every individual. Thank you Eddie and Ramona for your tireless efforts. It takes an awfully big lighter to smoke a turkey! Ha! All bad jokes aside...Jerry stepped up again this year and provided our council with the smoked turkeys that we sold during the Turkey Raffle. Thanks for all that you do for us Jrod!! Speedy is everywhere! Whenever called, he comes to serve! Thanks, Speedy!! You can always count on John and Cindy. This year, John, Cindy and Thomas joined forces to put on an outstanding Soccer Challenge for our area youth. Thanks to families like these, our council remains a successful organization. Pat and Mary epitomize the core value of a good Catholic family. Pat’s passion for the Knights of Columbus pushes our council to strive for new goals in areas like the American Wheelchair Mission that we have never focused on previously- and Mary is right there with him providing her support along the way. You guys really made our council proud this year at the Religious Appreciation Dinner!! Thanks for all you do!! George and Barbara give so much of their time and talents to the organization and to the church. Whether its making baskets for the Religious Appreciation auction, or baking for the council Bingo, these guys can always be counted on for tremendous support. Couples like George and Barbara are what make our council shine!! Bill and Liz show their love to the church in their everyday lives. From wrangling with the youth and helping them to put their faith in action, to organizing the Confirmation events, Bill and Liz do so much that never seems to elicit a Thank You! So from the Knights of Columbus, we say Thank You for all that you do! The Pressley's were instrumental in organizing this year's Special Olympics event. While John made sure everyone had a job to do preparing the food, Cindy and their daughters helped serve the volunteers a hot meal. Thank you for all that you do! I truly love seeing the Levine’s at our events. Dennis and Cathy have and infectious air about them that warms your heart with just a smile! Thank you for all that you do for our council!! 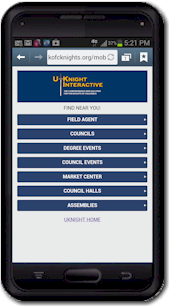 Multifaceted organizations like the Knights need people to step up and lead. Larry and Nancy have done so in all of their church activities. Most recently, we have had the pleasure to have them running our fish frys and serving deserts each of the Fridays during Lent. Thank you both so much for the contributions you all have made to our council. You truly are pillars in our organization! 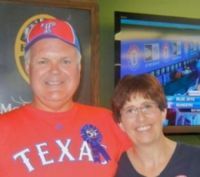 Family of the Month - Larry and Donna Ciarkowski One family that is the backbone of our success is the Ciarkowski's. Larry and Donna are behind the scenes making our council great! Without the support we receive from Minuteman Press, we would not be able to reach to people of our community. If you have been to an event at 7736, then you have been exposed to their work. This doesn't even begin to include the additional work Larry puts in at Fish Fry's, Bingo's, and many other events. I can't begin to thank you both enough! Thanks for your support of our council!! If you don’t know Bill and Liz, you probably should. These two have been the backbone of our St Jude’s community. They have spent countless hours in the spiritual development of our future Catholic leaders, as well as, organizing the many individuals who use utilize our church facilities. Thank you for all that you do! Josh and Angelica Vetrano are involved in many areas of our community from working with our youth to playing in the Christmas Choir. Please join me in congratulating them as December’s family of the month!! "When I was hungry, you gave me to eat..." Eddie and Ramona keep living the gospel through their work with the St Vincent de Paul Society. This year they made over 73 baskets that were given out to needy families in our area. Thank you Ramona and Eddie, you are truly demonstrating the spirit of charity and God's love!! September and October are two of our busiest months every year. This is the time when we are raising money for our charitable causes. One thing that you can count on during this time of year is the Pressley's being there and giving 110% effort. Our council appreciates all of your involvement and sacrifice through the years. Bob and Patti Schuljak know how to throw a party and each year it keeps getting better and better! Bob and Patti hosted our annual pool party this year with the help of the Levine family. Not only did the council enjoy the pool, but Patti added a new wrinkle this year - a ping pong tourney that saw your Grand Knight ousted in the first round by Ms. Carley Kidman. As underwhelming as that performance was, it gives me great pleasure to select the Schuljak's as this month's recipient of the Family of the Month honor. Eddie is one of the true inspirations in our council. Although he has his personal restrictions, it doesn't hamper his spirit. Eddie, accompanied by his Dad, Howard, completed his 2nd and 3rd degrees this past month. Our council couldn't be more proud of him!! If you have ever gone to Breakfast after the 7:45 mass, you have probably been greeted by Bonnie when passing through the service line. Jerry and Bonnie both are pillars of our St Jude's community. Whether its helping the Sisters with projects around their homes or feeding our Knights at officer installations, Jerry and Bonnie quietly go about their businessdoing God's work. Thank you both for all that you do for the Knights, CWO, Altar Servers, and our parish! This recognition is more of a reflection on Christina rather than Bill. A special thanks to Christina for allowing Bill to play "Knights" with us for the last two years!! Amanda and Bob have been active parishioners at St. Jude for many years. Last month, Amanda was the driving force behind the Mansfield St. Patrick’s Day Parade. This event gave the Knights a GREAT opportunity to be proud Catholics and support for our priest. Thanks to Bob and Amanda for all your hard work in our church and community. This is a couple that gives so much to St. Jude. Pat is very active with the high school youth and religious ed – so active that we don’t see him TOO often at Knights only events. But that doesn’t mean he isn’t working for the Knights in other ways. Sarah is also very involved with religious ed. Thank you for all you do for the parish Pat and Sarah! Pete and Margret Vasquez are active parishioners who serve as an inspiration to many around them. Pete is an active Knight who is always ready to give a helping hand. And Margret is active in the parish as the editor for the weekly mass bulletin. Thank you for all you do for the parish Pete and Margret! The Christmas season presents unique challenges to our St. Vincent de Paul Society at St. Jude. Eddie and Ramona worked tirelessly through December to serve the poor, hungry and needy of our community. They were both up at the Parish Center day and night. We are proud to call Eddie a Brother Knight and to name the Jacksons our Family of the Month for January. Vic and Jan Noton are great assets to our parish. Vic, as a deacon, is very active throughout the parish assisting our priests in fulfilling ministries to our people. This includes preaching at mass, performing baptisms and weddings, and visiting the sick and infirmed. Jan heads up our elementry education programs at St. Jude. She coordinates the First Communion prep as well. Thanks to Jan and Vic for all you do. Lee and Claudia Livingston have been active members of our parish for many years. Lee is presently serving our Council as Treasurer. Lee and Claudia were both active in our latest very successful Parish Festival. And Claudia is the Lector Coordinator for the parish. Lee and Claudia continue to be an inspiration to many with their dedication to their faith and church. Chris Laurent and his family have been very active in the Council over the last month. Chris is an active member of our Degree Team and took part in our September First Degree. He and his family came out and supported the Festival Bingo. And his whole family came out at the Parish Festival and covered our booth for several hours in the afternoon. Thanks to Chris and his family for all they do. Dave has just finished up a long stint as Recorder for our Council. This important job is often overlooked but Dave did a great job. And Cyndi has been very active with the Lady Knights, helping put together the auction baskets for the Religious Appreciation dinner. She also is active as a Eucharistic Minister. Dave and Lori worked very hard throughout the spring to make our Scholarship Raffle a raging success. The prizes they pulled together led to our most successful raffle ever. And Lori's tireless work with the Lady Knights has resulted in them assembling a shocking 15 baskets for the Religious Appreciation Dinner silent auction. Thank you Dave and Lori for all you do. Marty has been doing it all the last few months. He was at every Fish Fry early and stayed late. He has taken over the Community Director job with gusto, helping get a handicap ramp built at a parishioners house. His lovely bride Kay helps as a Eucharistic Minister and is a picture of gracefulness to us all (especially at Super Bowl parties with many Steeler fans present). Thank you Marty and Kay for all you do. Larry and Donna are a great asset to our Council. Larry is very active as the head of our Bingo Food committee and was a weekly breading expert for the Fish Fries. Donna is very active with the Lady Knights. And both were very generous in donating the printing expenses of our raffle tickets. Thank you for all you do Larry and Donna. 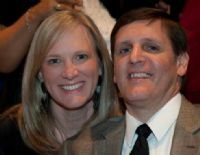 Bill and Liz Bellman – Is there a couple in this church that does more for our youth? Bill is an active Knight while maintaining a rigorous schedule of working with our high school youth. And Liz tirelessly works for St. Jude as our Director of Youth & Young Adult Ministries. Thanks to Bill and Liz for all you do! Bob has worked tirelessly in heading up our Pancake Breakfast efforts. Due to his efforts, we now are turning out even better breakfasts and turning a bit of a profit as well. Bob's energetic demeanor and willingness to work hard is an inspiration to everyone who works breakfasts. His wife Patti is a religious ed teacher, teaching 7th graders on Wednesday night. She has been involved in other ministries at St. Jude as well. Congrats to the Schuljak's on being our Family of the Month! Tom is a great asset to our council, serving us as Advocate. He is at many events and is always willing to pitch in and help when he sees something that needs to be done. Tom also helps the parish as the Eucharistic Minister coordinator. Tom's lovely wife, Cynthia, is also very active in the Parish. She was a great help in planning and putting on the Council Christmas party. Cynthia also is strongly pro-life, as is Tom, and attends our monthly trip to the abortion clinic and has earned her ACE wings. For all the help with the Christmas Party, including decorations and running the gift exchange. Dave and Lori have been tirelessly selling magnets after all the Masses since November. Lori also donated a lovely gift basket to teh Council to auction off at a future event. Dave and Lori also are active in the Sacristan ministry at St. Jude. 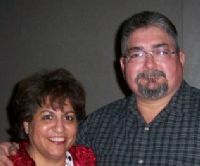 The Jerry and Bonni Rodriguez Family are the Family of the Month for October. Bonnie has recetntly stepped up as head of the Lady Knights as well as Altar Server Coordinator. And Jerry is always there to help his brother Knights whenever asked. And their daughter Andi has been very active around the Parish as well.